Did Selena Gomez’s Cousin, Priscilla DeLeon, Sleep With Justin Bieber At His House? Justin Beiber sparked more than just weed in the past week, but headlines that he and Selena Gomez may have reconciled after their last breakup. X17 and other outlets reported that she was seen leaving his home, but appearances may have been deceiving. Hollywood Life is reporting that it may not have been Selena, but Selena’s cousin, Priscilla DeLeon. 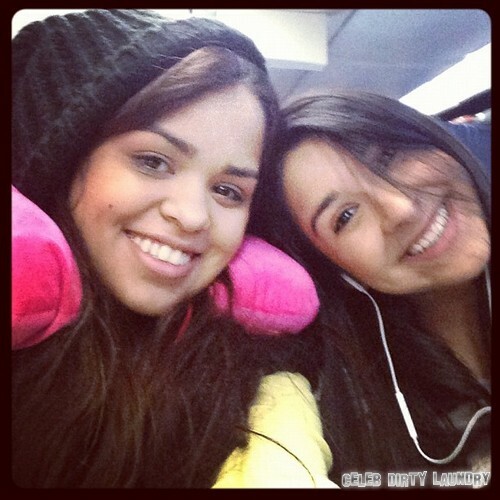 Selena does bear a striking resemblance to her cousin and it would make sense for her to use Priscilla as a go between. There just may a favorite sweater of hers at Justin’s place that she wants back and doesn’t want smelling like one of nature’s greatest creation if one is so inclined to celebrate 4/20. There are a lot of reasons why Priscilla could’ve been at Justin’s, the least of which being a decoy for her kin. When Jelena broke up at the beginning of the year after countless trips on the merry go round, the long national nightmare was over for Beliebers. Justin’s fanatics no longer had to share their idol it seemed. This possible mixup may give them renewed hope that Justin and Selena won’t be getting their happily after ever. After all, the two singers did each scorn the other with “Cry Me A River”. It is possible that they are now doing a duet of Kumbayah these days, but a silhouette of Selena is not confirmation. Does Selena Gomez Smoke Marijuana Like Justin Bieber?